Do You Know How To Get Rid Of Geese On My Commercial Property? 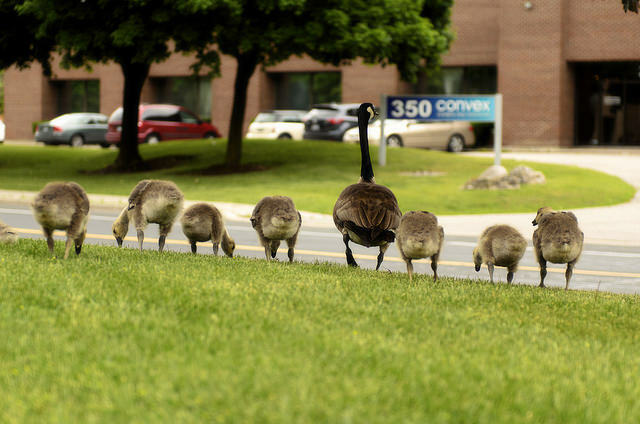 You’ve seen overwhelming flocks of geese wandering open spaces on commercial properties—or even waddling through close quarters pedestrian areas. The sight is a turn-off. Geese are a nuisance, and the mess they leave behind is even worse. Goose droppings damage grass; their feces are also unsanitary and can force people to avoid the property. Then there’s the territorial aspect of geese. Once they nest, they guard their homes and get defensive, even nipping or hitting people who get too close. We’re guessing this isn’t the type of welcome you want for your Northeast Ohio commercial property. But how do you know how to get rid of geese? It seems like they just fly in en masse and take over, eating grass and leaving behind their nasty trademarks. We’ve got some good news for you. There are safe, effective ways to prevent geese from nesting on and potentially damaging your Ohio property. Read on. Your landscaping can discourage geese from turning the property into a popular bird hangout. A combination of plant materials can create an effective vegetative barrier. The first step is to consider what geese love on your Northeast Ohio commercial property: food and water. Sites with retention or detention ponds draw these birds, as do areas with poor drainage where water collects. We know you might not want to have fencing up year-round because it’s not the most attractive way to prevent geese from nesting. But a taut wire or string about 18 inches above the ground can deter geese from water sources, including water features, retention ponds or natural lakes. The reason fencing is usually temporary for geese is because they’ll learn to duck under the barrier. Ultimately, we recommend using this tactic as a bridge to a more permanent barrier, such as plantings that will prevent geese from nesting and feeding. If you do choose to put up a string or wire barrier, go for a double strand, placing one line 6 inches from the ground, and another line 18 inches from the ground. This will discourage geese from getting too brave and testing their limbo skills. The thing about geese is that your control methods must be careful and humane. They are federally protected by the Migratory Bird Treaty Act, so it is illegal for any person, agency or organization to pursue, hunt, wound, or capture a nest or egg without a permit. That said, you can harass geese to make your property an undesirable hangout. Ways to do this include using noisemakers that emit unexpected loud noises that scare geese. Also geese do not like visual deterrents such as flags, reflective surfaces and predator decoys, like owls, coyotes and eagles. Geese that are tending to a nest will not respond to scare tactics, but adults with goslings can be herded off the property if goose deterrents are in place. A combination of strategic landscaping that creates a vegetative barrier, some fencing if necessary, and noise or visuals brings layers of geese protection. 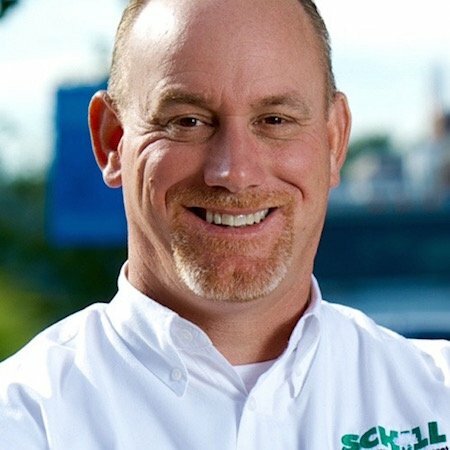 Let’s talk more about how to prevent geese from nesting and overpopulating your Northeast Ohio property. Call us any time at (440) 327-3030, or fill out this simple contact form and we’ll get in touch with you.